In performing our service as a registered credit bureaux we collect, use and disclose personal information. Anyone from whom we collect such information can expect that it will be carefully protected and that any use of or other dealing with this information is subject to consent or is subject to legislation contained within the NCA. Our privacy practices are designed to achieve this. “CPB” refers to CPB a registered credit bureaux with registration number 1981/007624/07, a Company incorporated in accordance with the laws of the Republic of South Africa. (d) a person’s identity, including the person’s name, date of birth, identity, marital status and family relationships, past and current addresses and other contact details, and related matters. “Personal Information” means all information which may be considered to be personal information or information about an identifiable individual in terms of the Electronic Communications and Transactions Act (“ECTA”), the Consumer Protection Act (“CPA”) and the Protection of Personal Information Act (POPI). “User, you or your” refers to any person who makes use of this website, including Clients and Subscribers. In terms of Section 68 of the National Credit Act (NCA), there are certain rights and obligations imposed upon credit and service providers and the credit bureaus to ensure that consumer credit information and any other information is received, compiled, retained and reported in accordance to the NCA. We do not, except where otherwise permitted by law, collect, use or disclose your Personal Information without your consent. In most cases where consent is required by law, it is provided to the subscriber for access to personal information. CPB conducts its business in accordance with South African legislation. CPB considers it imperative to protect the privacy interests of data subjects. All Personal Information retained on our database is in accordance with the retention provisions set out in the applicable Laws and regulations of South Africa. We have adopted a “Security in depth” security model to protect your Personal Information. As part of our security model, we have implemented fire-wall technology, password controls, encryption processes, antivirus software as well as physical measures. We have a stringent security policy in place that every officer, employer and supplier of CPB must adhere to. information can be called whenever you interact with a page is affected by your preferences. Please check our site on an on-going basis or contact info@cpbonline.org.za for the most up-to-date information on our privacy practices. 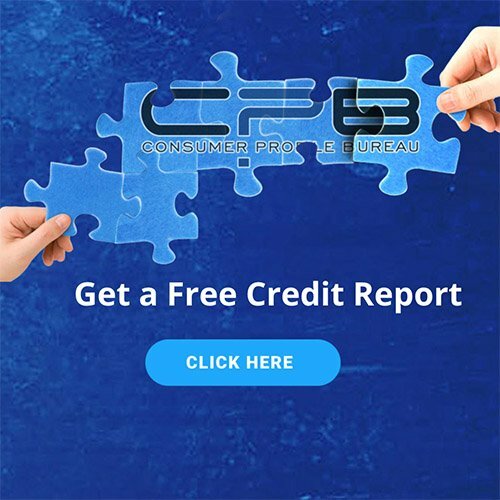 Consumer Profile Bureau (Pty) Ltd (CPB) is a registered Credit Bureau in terms of the National Credit Act No 34 of 2005, with registration number NCRCB2. CPB was established in 1981 and is the second oldest Credit Bureau in South Africa.